The history of the Alamo is an important part of American history and American lore. Joseph George Washington was a participant in the defense of the Alamo. Joseph was the son of Andrew Washington, brother of Joseph Washington, who founded Wessyngton Plantation. He was born in 1808 and lived in Robertson County, Tennessee. Joseph was described as a striking, tall figure, about six feet high, tolerably stout build, tolerably dark complexion, dark eyes and dark hair. In 1833, Joseph George sold his uncle a slave Joe. In December of 1835, he sold three more slaves to his brother Richard Washington for $830, before he travelled west to Texas. We do not know why Joseph joined in the fight for the Alamo. It could have been that the Republic of Texas offered land to men who helped win its independence from Mexico. Another reason could have been he was seeking an adventure as he went with other young men from Tennessee and nearby Kentucky. 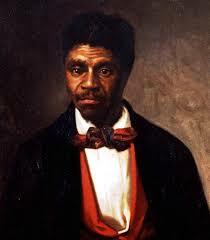 In 1847 an enslaved African American, Dred Scott, went to trial to sue for his freedom. This case, which later became known as Dred Scott v. Sanford, impacted the citizenship of all African Americans throughout the United States. Dred Scott was born a slave in Southampton County, Virginia and was owned by Peter Blow. Peter Blow was the great-nephew of Colonel Michael Blow who owned my ancestors before they were brought to Wessyngton Plantation by Joseph Washington. Scott was taken to Alabama by the Blow family and later to St. Louis. After Peter Blow’s death in 1832, Scott was bought by an army surgeon Dr. John Emerson who took him to Illinois and the Wisconsin Territory. Scott’s stay in Illinois and Wisconsin, where slavery was prohibited, gave him the legal standing to make a claim for his freedom. The abolitionists encouraged him to sue for his freedom. The case and appeals took ten years. In March 1857, the United States Supreme Court declared that all blacks, slaves as well as free blacks, were not, and could never become, citizens of the United States. The decision was a victory for southern slaveholders, while northerners were outraged at its outcome. The Dred Scott case influenced the nomination of Abraham Lincoln to the Republican Party and his election that led to the South’s secession from the Union and ultimately the freedom of all African Americans. Peter Blow’s sons, who had grown up with Dred Scott, helped him pay the legal fees for his lengthy case. After the Supreme Court’s decision, they purchased Scott and his wife and then emancipated them. Dred Scott died nine months later—a free man. In more than thirty years of researching my ancestry and the lives of African Americans enslaved on Wessyngton Plantation, I have had the honor of interviewing more than twenty individuals whose parents or grandparents lived on the plantation. These individuals ranged in age from eighty to 107 years old. 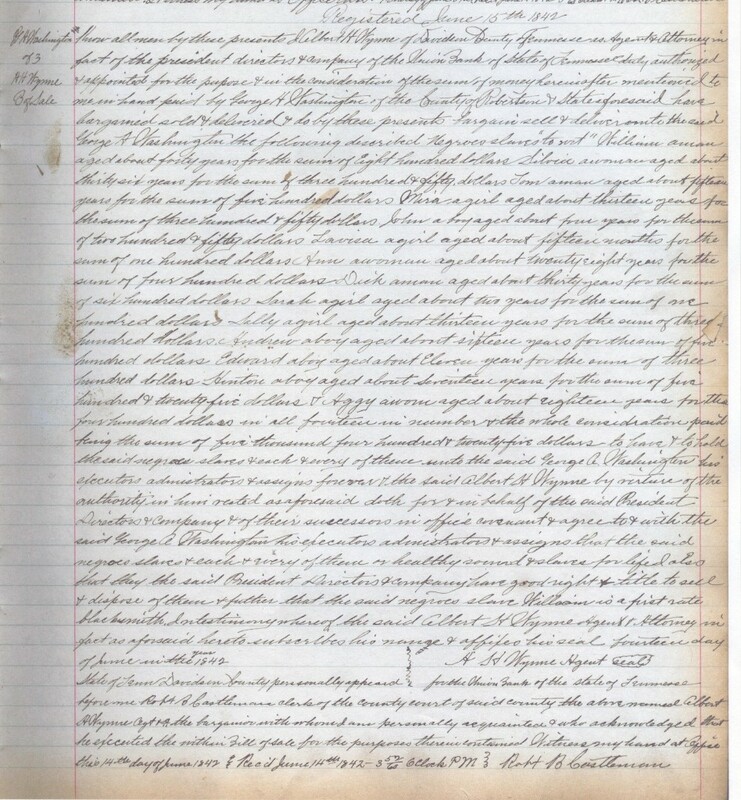 Although I found hundreds of documents about my ancestors from plantation records written by the owners of Wessyngton, I learned many personal things about my ancestors from conducting interviews with elder family members. 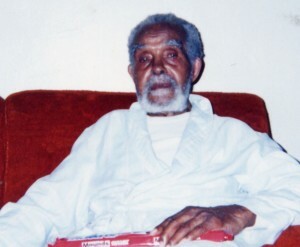 In 1994, I visited my cousin Joseph Washington 1895-2002 (pictured above) at his home in Mansfield, Ohio on his one hundred second birthday. As a child Joseph lived next door to my great-great-grandparents Emanuel and Henny Washington who were born at Wessyngton in the early 1800s. He related many stories about them to me including ghost stories that my great-great-grandfather used to tell all the children on the plantation and songs he used to sing. Joseph told me what life was like on the plantation when he grew up there and how many people on the plantation were related to one another. Oral history is a vital key to tracing African American genealogy and provides many details about our ancestors that can’t be found in records. Stories of the founding of Wessyngton Plantation have been passed down through generations of the Washington family. These stories were corroborated by deeds and other documents I found in the Washington Family Papers in the Tennessee State Library and Archives in Nashville. In this deed, we learn that Moses Winters was granted 640 acres of land for military service in the Revolutionary War. 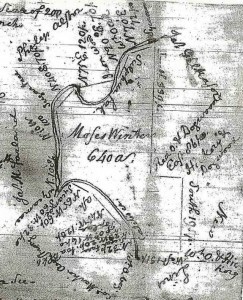 Joseph Washington later bought this land which became part of the Wessyngton estate. Joseph Washington came to Tennessee from Virginia as did many young men after the Revolutionary War. He carried this money purse with him. When he was twenty-six, he left his parents in Virginia, bringing several slaves and all his wordly possessions. His sister and one of his brothers came to Tennessee later. 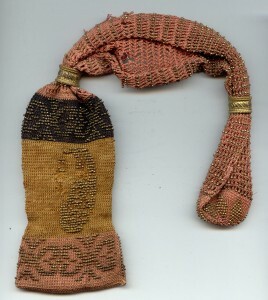 The money purse in now in the possession of Joseph’s great-great-great-grandson, Stanley Frazer Rose.